In recent years, offices around the globe have been moving away from cubicles and toward open-space workstations for several reasons. Using an open-space design comes with many benefits you don’t want to overlook if you value your long-term results. Even though they can help, open-space workstations are not perfect. Many people are now letting the cubicle make a comeback, and you will soon discover the many benefits of taking this path. Reviewing the following information arms you with the needed tools to make the smart decision for you and your team. One of the benefits of an office cubicle is that it gives you privacy and allows you to work on your projects in peace. Many offices file paperwork and take phone calls that involve the exchange of sensitive information, such as medical records and credit card numbers. Allowing data to get into the wrong hands can open your company to liability concerns that you don’t want to face. Using cubicles gives your team privacy and allows them to do their jobs without compromising personal data. People will be more eager to put in their best effort if they feel as though they have some ownership in the workplace. Those who have a sense of ownership are much more likely to take pride in their work than those who don’t, and using cubicles lets you take advantage of that fact. With cubicles in your office, your team can personalize their space with pictures, personal belongings, posters, and more. This process makes their work environment feel like home, and they will operate with enhanced productivity and efficiency as a result. 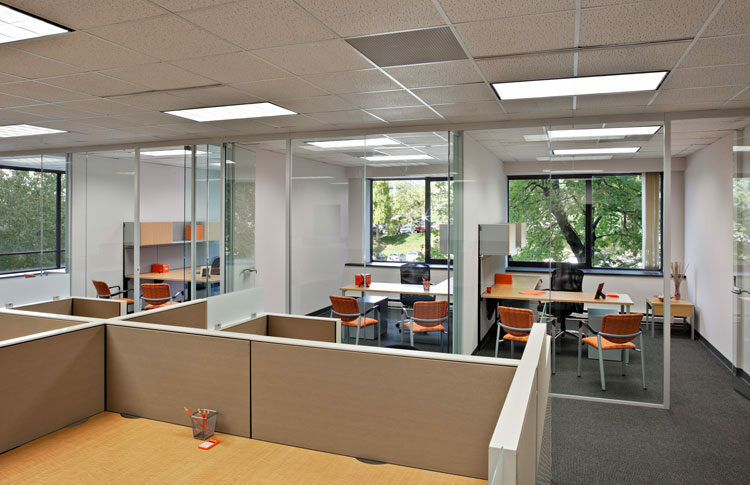 Dividing your office space into cubicles is a smart way to save money and protect your budget. Rather than using walls to separate each person’s workspace, you can use budget-friendly dividers to do the trick, and your bottom line will benefit. Reinvesting the money you save back into your company can help you grow and expand faster than ever before, and you will be thrilled when you see what you can achieve. Whether you own or rent your building, you pay for every inch you use, so you must make the most of your space. Using cubicles for your team takes up less space than trying to give each staff member a private office. When you use cubicles instead of rooms, you can fit a lot more people in one location. When you cut down on the amount of space you use, you can hire additional team members or create extra storage rooms. If you are still on this page, you are likely interested in using cubicles so that you can take advantage of the benefits. Extra Office offers a range of office products and workstations you can use to reach the goal you had in mind when you got started. Our design team can even help you choose a layout that matches your style and company culture, and you can reach out to us right away.